The growth and continued expansion of online business can be exciting, albeit a bit daunting. Luckily, there are companies aiming to make the process smoother and provide financial incentives for individuals to join. 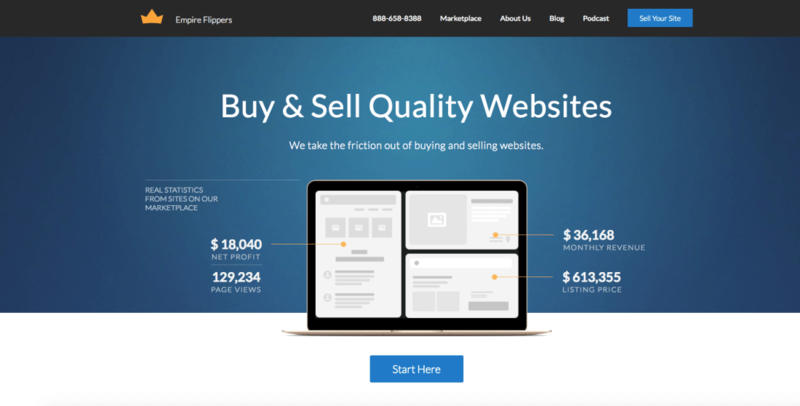 Empire Flippers calls itself the leader when it comes to buying, selling or investing in online business. Deemed the biggest team in the industry when it comes to deal flow, their business provides the best processes for valuations, offering full brokerage services like negotiations and migrating a business once sold, as well as other high-level services for six-figure and seven-figure digital assets. Gregory Elfrink, marketing manager for Empire Flippers, talked with RewardExpert about the company’s purpose in the digital business world. The business began when Justin Cooke and Joe Magnotti lost a large client in their outsourcing company. They already built a team and didn’t want to lose that acquired talent while waiting to land another client. Hence, employees’ hours were filled with building tiny niche sites monetized through Google AdSense. It became clear that being an M&A brokerage was a profitable venture, and one that was prospering. The entire company was rebranded as a full-service brokerage and they haven’t looked back since. Empire Flippers’ process is appealing to sellers. Instead of using Letters of Intent, or LOIs, as other brokerages might do, Empire uses a deposit system to weed out fake and authentic buyers. In addition, the company vets businesses to assure legitimacy before they go live on the marketplace. That lets buyers know the business cares about their wants and needs. It shows in the financial footprint, where between marketing, audience size and process-oriented service, they believe they provide superior service for any sub-$10 million online business. “We love our customers,” Elfrink said. To show their appreciation, they offer perks to those who buy or sell a certain size business. That includes Empire Flippers “swag” in the form of gym bags, stickers and USB drives. If clients are in town, they get treated to dinner and cocktails. And if they experience any issues, the company will contact someone who can help them outside the realm of buying and selling businesses. When it comes to raking in the cash, it’s advised that clients look at their last 12 months of net profit. For online businesses, they can multiply that net profit number 23 times and see a realistic yet conservative number for financial growth. Those looking for ballpark estimates can use the company’s automated valuation tool, which can be used for free. The numbers won’t be exact, but it offers a helpful glimpse into the future. The company saw massive growth in 2017, and this year has already produced record months. The team has grown by eight new members in just the first quarter of 2018. They have no intent to put the foot on the brake, aiming to break more records and become a bigger name in the mainstream media market. “In 2018 we will likely cement our market leadership in selling content sites and e-commerce stores,” he said.